The following advisors help us with the strategic direction of our company and how we can make the biggest impact. David Perry has 15 years experience delivering technology and digital media solutions to Fortune 100 companies. At AdRoll, a global leader in retargeting with over with over 15,000 clients, David covers strategic accounts. Prior to AdRoll, at Amazon and Google, David helped major brands leverage advertising solutions spanning Search, Display, Video, Mobile, and emerging technologies. 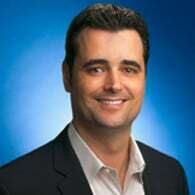 Prior to joining Google, David was a business development executive at IBM, where he focused on creating strategic partnerships to deliver new enterprise offerings. David earned his bachelor’s degree at Colgate University and his MBA at the Johnson School at Cornell University. Cliff Lerner is a leading Technology Executive and Founder. Cliff co-founded and served as Snap Interactive’s CEO & Chairman from 2005-2015 (now PeerStream - Ticker: PEER). Snap was the first Social Media Company to become publicly traded and created the first successful online dating app, growing it to 100 million users. Under Cliff’s leadership, Snap ranked as the 36th fastest growing technology company in North America in 2012 growing revenues 4,412% from 2007 to 2011. 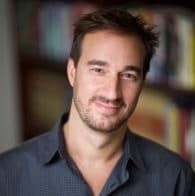 Cliff is also the Author of "Explosive Growth: A Few Things I Learned Growing To 100 Million Users." The Explosive Growth Book For Entrepreneurs has been described as “brilliant… essential reading for every entrepreneur & leader seeking innovative solutions for their industry,” and is frequently ranked on the Amazon Business Book Best Sellers List. Cliff has appeared on CNBC, Bloomberg, Fortune TV, Yahoo! Finance, and others top media outlets as a leading social media visionary and spokesperson. Previously, he worked as an analyst at Lehman Brothers and received a BS in Applied Economics and Business Management from Cornell University in 2000. Cliff grew up in Long Island, lives in Manhattan, and enjoys steak, karaoke, and playing basketball.